Battlestar Galactica (2004 TV Series) was a military science fiction serial drama television series and part of the Battlestar Galactica franchise. 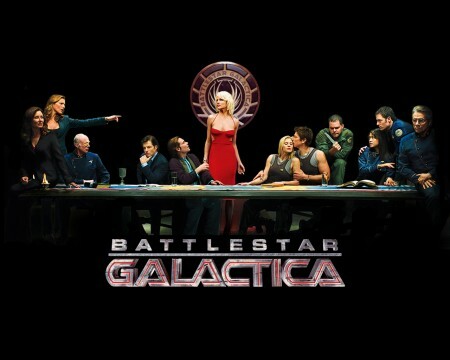 The show was a re-imagining of the Battlestar Galactica television series from 1978. The series first aired as a three-hour miniseries in December 2003 on the Sci Fi network and ran for four seasons thereafter, ending its run on March 20, 2009. The series featured Edward James Olmos and Mary McDonnell and garnered a wide range of critical acclaim, including a Peabody Award and the Television Critics Association’s Program of the Year Award, as well as Emmy nominations for its writing and directing. I am by no means a sci-fi person who watches all the sci-fi tv shows but this series was amazing. I think the last sci show I watched was Star Trek Voyager. I just finished it and I think it is one of the best tv series I have ever seen, sci-fi or not. To think I never would have watched it if a friend had not told me about it. Definitely going to have to watch sci-fi channel and look into some of these old sci-fi series in the future. This was an awesome show! All 4 seasons are available separately and also in a box set. 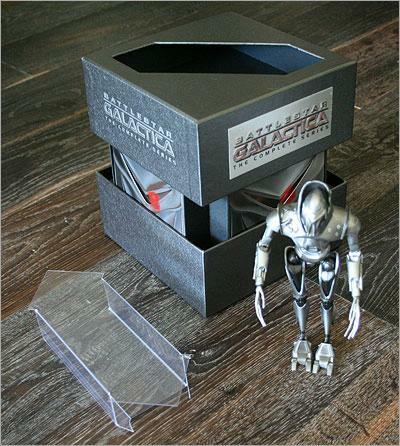 There is a box set available with a collectible cylon figure. Battlestar Galactica - The Complete Epic Series (1978) 1 year run but still a classic! 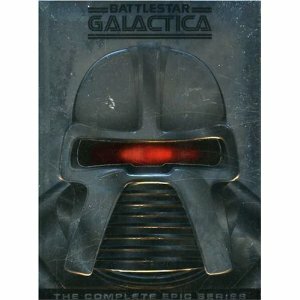 Battlestar Galactica – The Complete Epic Series (1978) click to see updated pricing! Galactica 1980: The Final Season (1980) (watch, if only for the final episode) click to see updated pricing!